The French drone maker Parrot (▷1) still leads global awareness followed by DJI (▷2) and Ghost-Drone manufacturer Ehang (▷3) who made up ground to the leaders and are the key players of the drone market. The race for the TOP 20 of the drone company ranking is getting more and more exciting as the distance shortens between the competitors. As company activity and global reach increases (e.g. new products, funding, etc. ), so does their overall score. Whenever new products are launched, funding rounds are completed or M&A’s successfully executed it has a measurable effect in terms of an increase or decrease in global drone company awareness. These activities are part of the previously mentioned measurement categories. Compared to the last TOP 20 drone company ranking we see how the most active companies like DJI and Parrot are loosing ground to other very active firms. The top four drone companies were able to hold their rank. However, we were able to identify vivid movement in the lower ranks. 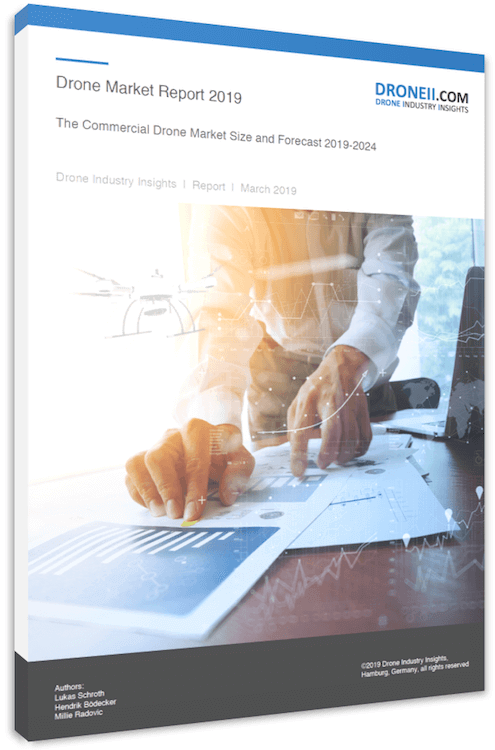 If you want to learn more about the newest Drone Market Trends and Investment Strategies, feel free to take a look at our Report for Drone Investment Trends 2018 . In this PDF-file you’ll find a detailed report about the TOP20 drone companies ranking Q1 2016. It shows the global awareness, activity, history and backgrounds of the leading drone companies. Some of the drone company compeditors climbed their way up in the TOP 20 drone company ranking. These are the companies that took the most surprinsingly turn or came out with some new features that will make a huge impact to the drone industry. Just after raising $42M in Series B, the Chinese company EHANG announced a new generation of drones – the “Ghost Drone 2.0”. It comes with a 4K camera, VR goggles and a so-called AVATAR Tilt Control – a gadget that makes your drone follow your gestures only by tilting your smartphone. Even though EHANG remains on rank 3, they were able make up leeway up to the leaders in our ranking. The project Hexo+ started off as a Kickstarter campaign and raised over $1.3M. It was so successful that it was ranked among the top 20 most successful Kickstarter campaigns. After collecting Angel investment of $3M in late June 2015, Squadrone Systems launched the new autonomous hands-free action drone that follows and films you, while you can focus on yourself doing sports or the like. Boeing’s (NYSE:BA) Insitu division was able (among others) to make their way into the commercial drone market, already having received licenses from the FAA to fly missions. Some of these platforms are being used to explore oil fields or monitor crops. Initially designed for defense and safety, governmental applications are pushing Insitu’s business towards commercial uses. AscTec always stunned the world with high-tech solutions: laser powered quadcopters that fly 12.5h and now the first drone with “self awareness”. Intel’s RealSense camera module, which weighs as little as 8 grams and is less than 4mm thick, brings depth perception to drones both indoors and outdoors with minimal impact to payload and flight times. It is the milestone for today’s sense & avoid technology. The Swedish platform manufacturer CybAero (CBA) announced on December 15th that it had conducted a private placement with US-based venture capital firm Subversive Capital worth a total of $2.6M. Their product line APID ONE is a game-changing remote-piloted aircraft and expected to fill a vacuum for commercially viable systems. There are also some companies that didn’t make that turn and dropped out of the TOP 20 drone company ranking. Sometimes it’s hard to catch up and stay at the top in such a fast developing competition. More than 12,000 very irate backers who collectively pledged more than £2.3 million in the hopes of receiving an autonomous micro drone called Zano last summer. The collapse started when the CEO of the business resigned in November 2015, citing “personal health issues and irreconcilable differences”. The company collapsed into voluntary liquidation shortly afterwards – leaving Kickstarter with a PR disaster on its hands. Obviously, more and more new and uprising drone companies are filling in the gaps in the Top 20 Drone Company Ranking that are left open by the big player – whether it is performance, application or price – the drone race has just begun. Many thanks for useful information on drone market trend. Look forward to receiving the news further coming on.